We are your local damp treatment experts in Ringwood, covering all types of damp problem for an excellent price! Treating damp yourself can be much more challenging than you may realise. First, you will need to identify exactly what type of damp problem your property in Ringwood has before proceeding with the correct damp treatment. Every damp treatment method is different and is dependent on the type of damp, so ensuring that you identify both correctly is essential for lasting success. Whatever your problems with damp, we can provide the right damp treatment to solve the issue and put your mind at ease! If you are based in Ringwood, don’t hesitate to contact our team today on 01202 737739 for a damp treatment quote. What types of damp treatment do we offer in Ringwood? We provide damp treatment for all types of damp problem. If you require any of our damp treatment services in Ringwood, don’t delay getting in touch with our experienced team on 01202 737739. Incorrect damp treatment is not only ineffective but a total waste of your time and money. 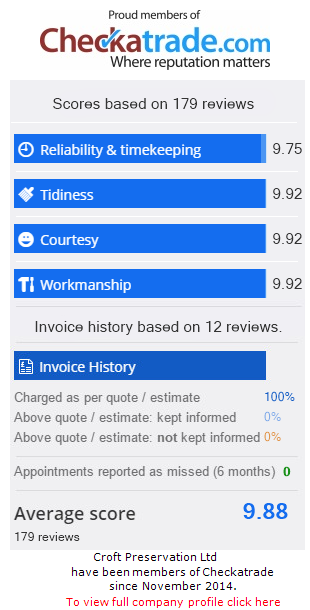 That’s why we begin our damp treatment service in Ringwood by correctly identifying the source of your damp problem with a professional damp survey. Our damp surveys are totally unobtrusive and will get to the root of your problem, so that we can recommend the correct damp treatment to solve the damp issue in the long-term. Temporary 'fixes' such as painting over damp patches on walls should be avoided, as they only temporarily mask the damp problem instead of remedying it; this gives the damp time to spread and cause further damage. Are you unsure what type of damp problem you are experiencing in your property? One of our damp surveyors will get to the bottom of your issue and suggest an effective damp treatment. Contact us today on 01202 737739 for expert damp treatment in Ringwood. Ignoring your damp problem will only lead to a worse situation further down the line that may be more costly for you to treat. Don’t ignore your damp problem, call our damp treatment experts in Ringwood today on 01202 737739.